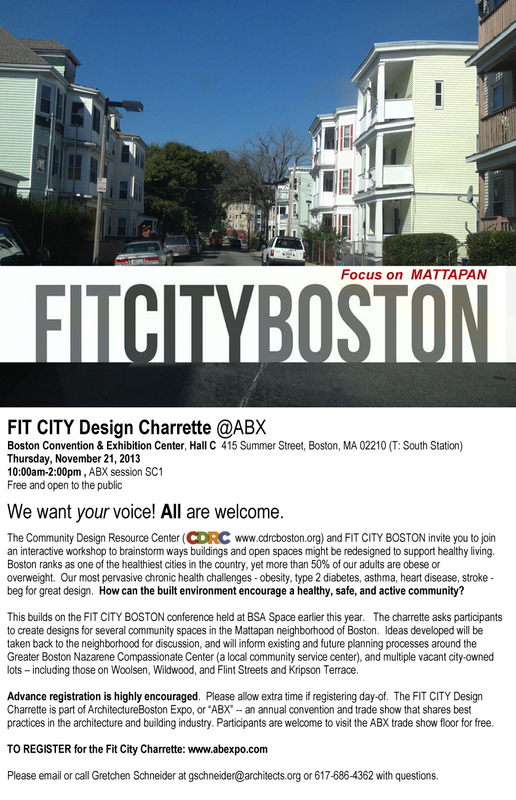 Making Place for a FitCity at ABX! Join us and other placemakers this Thursday from 11 – 2 at ABX to strategize new and real possibilities for abandoned lots in Boston! Come share your ideas or just stop by and see what’s brewing! This entry was posted in Dynamic Participation, Public Spaces and tagged abandoned lot, ABX, CDRC, FitCity, participation by jellybeancity. Bookmark the permalink.